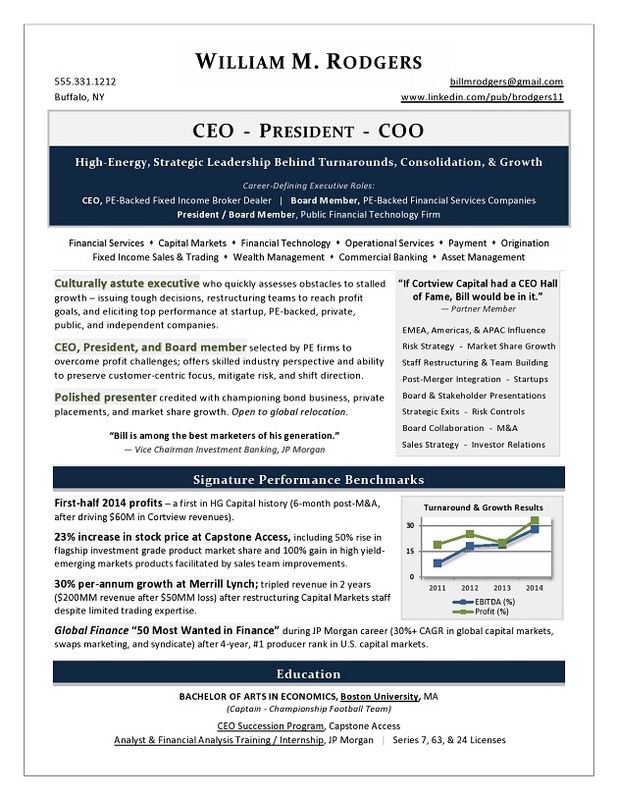 This CEO resume generated numerous interviews – and recognition as a Best Executive Resume TORI award-winning entry. Ready to make a lasting impression with company owners, PE, Boards, and recruiters? Contact me to discuss your requirements and situation. The first page of this award-winning, real-life CEO resume is shown below. to distinguish yourself among competing leaders? 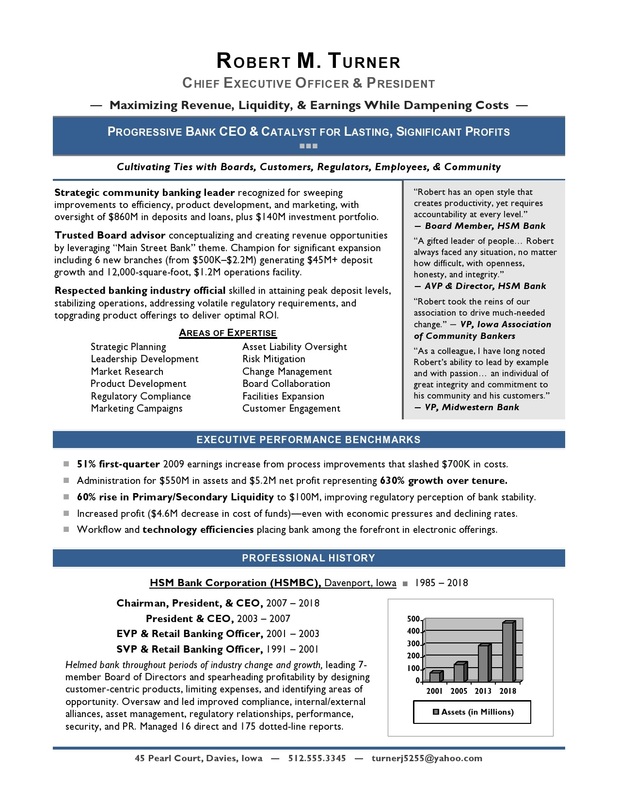 My work delivers a swift market edge for CEOs and other 6 / 7 figure candidates – generating OUTSTANDING results. As a former recruiter, I know the qualities that employers seek – and many executives miss – that can make or break a hiring decision. My global awards and top industry credentials ensure you receive top-notch service and superbly crafted documents from a Certified Professional Resume Writer dedicated to your success. Contact me to win more interviews with expert career marketing, resume writing, and LinkedIn services tailored to your executive search. Laura Smith-Proulx, CCMC, CPRW, CIC, CPBA, COPNS, CTTCC is an award-winning executive resume writer and job search authority serving CEO, CFO, COO, CNO, CIO, CTO, CNO, CDO, CISO, EVP, VP, and Director candidates pursuing 6 and 7-figure career oppportunities.